Add this sweet hand painted Easter printable to your homes Easter decor and enjoy the holiday with family and friends! Hey friends! Its finally Friday and you know what that means? 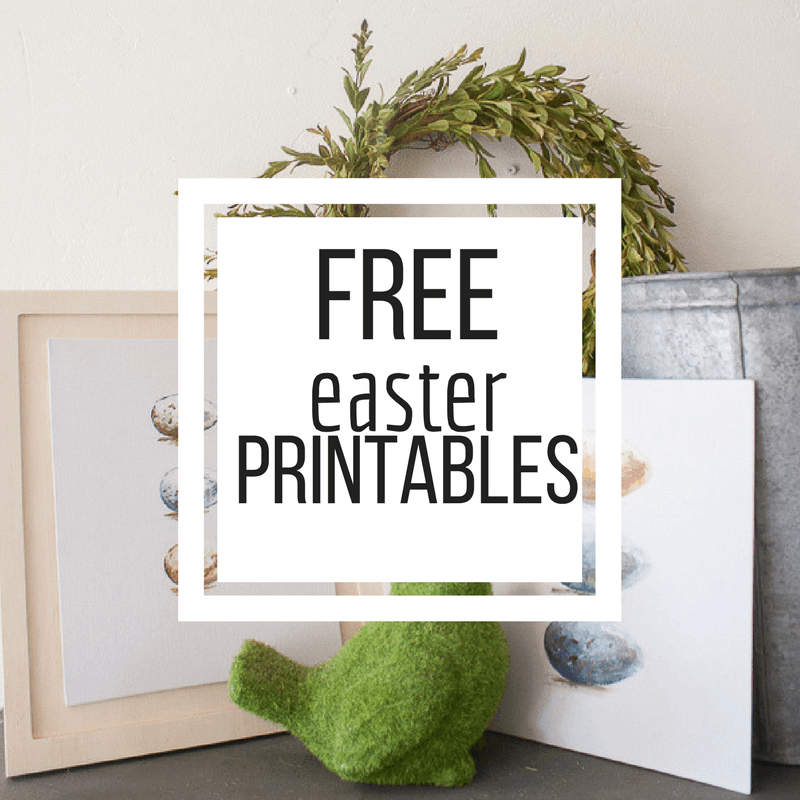 Its FREE Printable Friday! I started this a long time ago, and then got out of the habit of offering this to my readers! They are now back! Last month I offered you a Free printable perpetual Calendar. If you don’t have it, go grab it now! 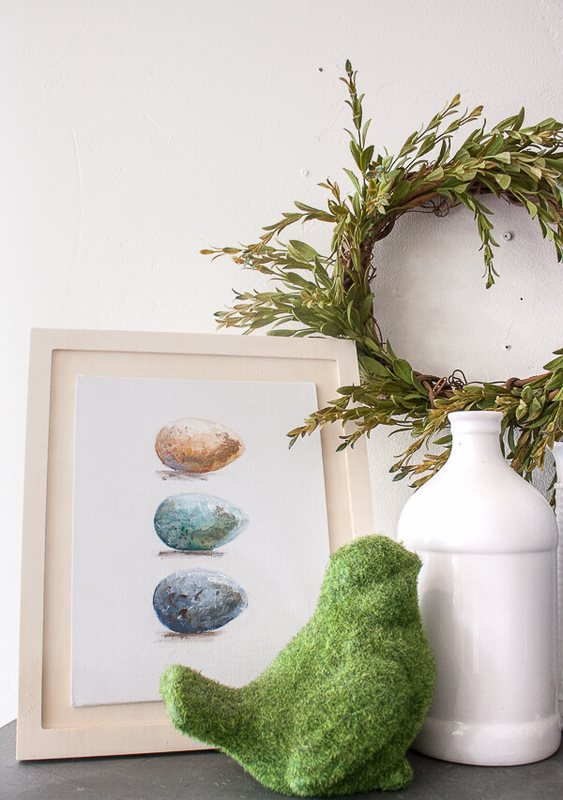 I really enjoy the Easter holiday, and I was excited to offer you a printable for the season. 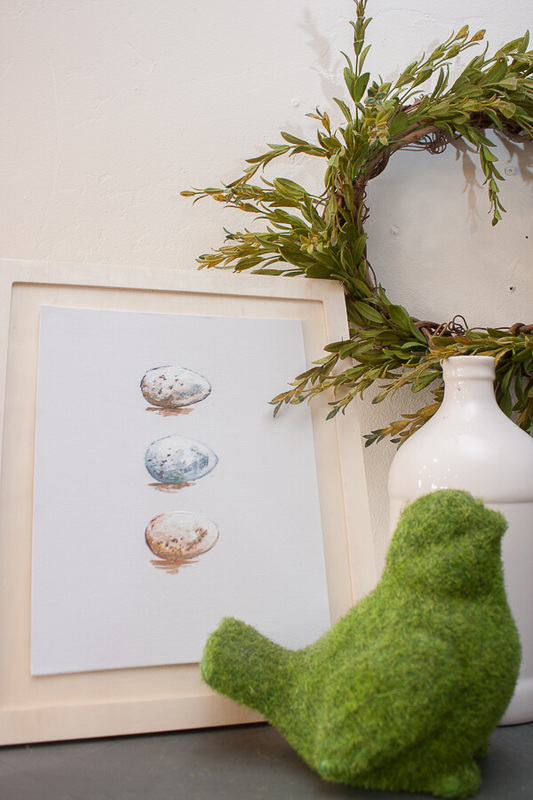 Last week, I started messing around in my art room and had been doodling Easter eggs, and thought they would make a great subject for my printable this month. 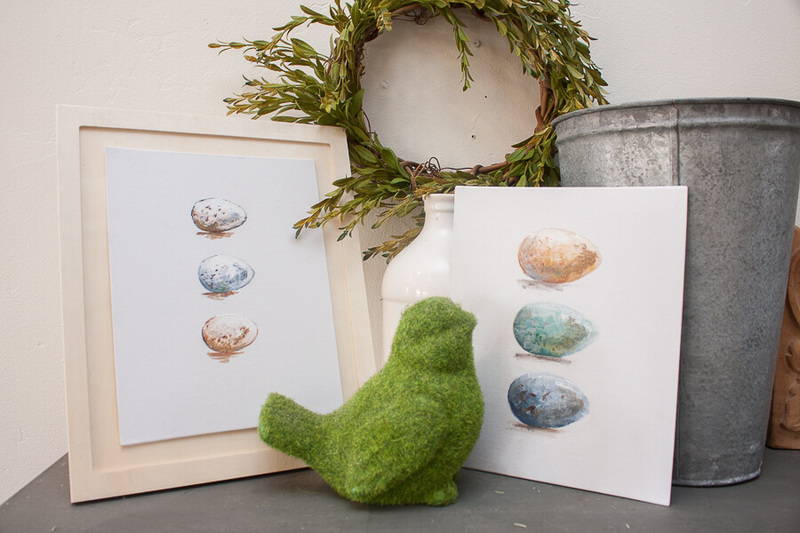 So, not only are you getting one Easter printable, you are getting two! I painted the first one, and then decided I wanted to try another one that is similar, but different at the same time. 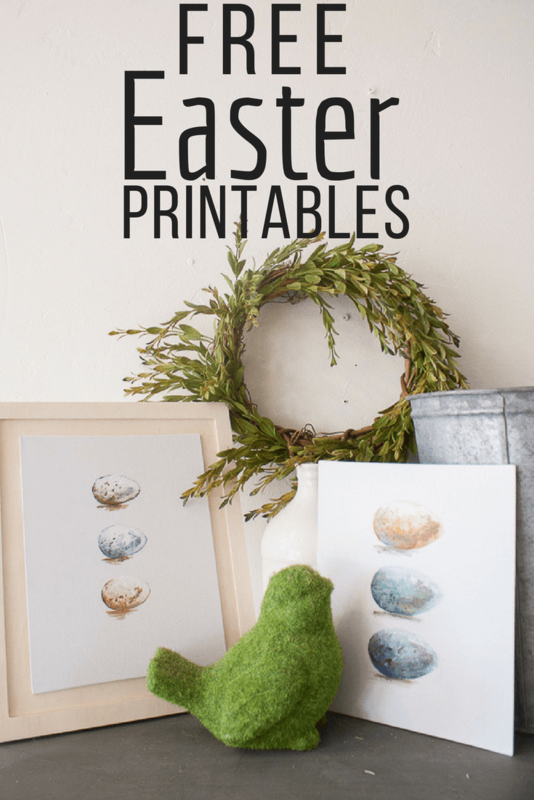 The colors are different and the styles of the two paintings/Easter printables are different as well. But, they have the same composition and I found the simplicity of the paintings perfect for my own homes decor. Both of these Easter printables were hand painted on to canvas with acrylic paints and are original artwork that i have created myself. I offer you these printables for personal use. This is not for commercial use. Print them out and use them to your hearts content in your home. Its easy to access this printable. 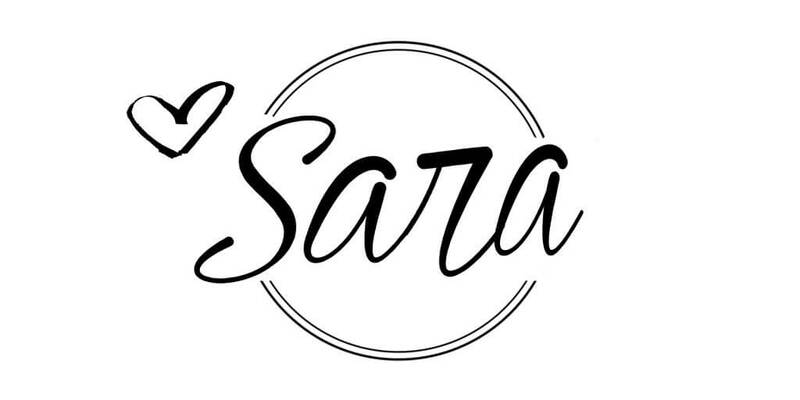 All you have to do is sign up for my newsletter and you will gain exclusive access! I would love it if you would sign up for my email list. 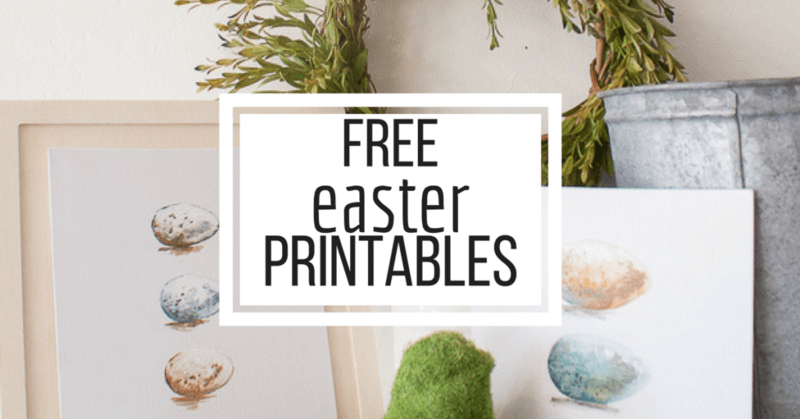 And with that you will receive FREE access to not only these Easter printables, but my entire printable library! You will also receive exclusive deals and a weekly newsletter, full of great ideas and exclusive tips and tricks. Make sure you save this for later and share with your friends! Thank you , I love them. But help, I am on your newsletter list, but I can’t get this to open. It only wants to save to Pinterest. What am I doing wrong? Thank you. Hi, if you are already a on my newsletter list, you can go to my printables library, which there was a link sent to you in the past that you can access. I will be sending a newsletter out later today with the link to my printables library again. I am already on your email list. How do I get access to the printables without having to sign up again? You should have gotten an email in the past with the link to my printable library. It will be in that email. I will be sending the link out again later today! Finally!! Your site is working for me. Yippy, I am about as happy as you are! !